I am a firm believer that life is too short to use stationery and accessories that don't bring me joy (spoken like a true stationery addict). Which is why I have a BYO stationery policy in my professional life and I'm so loud about it, a colleague I haven't worked with for over 2 years remembered not to supply me with any stationery on my first day in a new job. 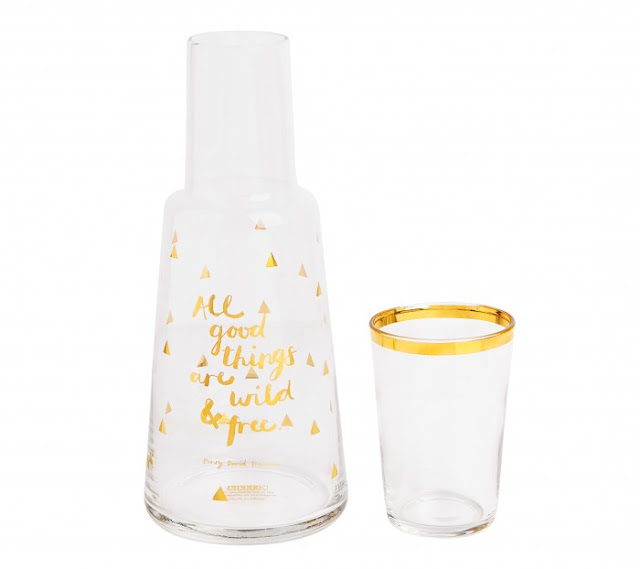 Speaking of... A new job means an excuse to purchase new stationery and accessories! I've pimped my desk with my lego stationery set, Shiny Jade mug that's getting a little worn down now (sad face emoticon) AND upgraded it with a Kikki.K water pitcher and cup set that says 'All good things are wild and free.' Adorable. Though inaccurate. My limbs run wild and randomly break things that aren't free at all. In fact, they add up to quite the annual bill. Little Sissy Pham was vitamin D deficient recently and we went to the pharmacist to get the Vitamin D tablets her doctor prescribed. You think we'd know better than to let me carry the glass jar of pills, but in her V.D.D haze we let me carry her meds and SPLAT! I smashed that jar so good the pills looked like they were speckled with star dust, but really it was shards of glass that could kill her dead if swallowed. The moral of the story is I've made a terrible mistake and shouldn't have bought myself a glass jug and cup but it's too late now! If only my old manager hadn't thrown out my gold SIGG bottle. It's a cute desk accessory and reminds me I need to water myself unlike every single, neglected plant I've murdered. 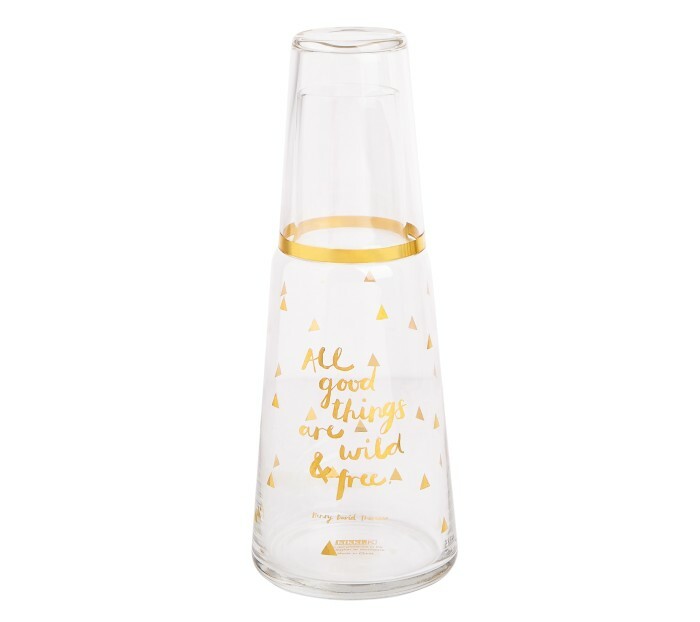 My jug has sold out in the Brisbane stores I've visited and the online store is low on stock at time of writing, but they have a new design called the Glass Water Bottle with Cup Svenska Hem Stilla that's currently in stock. Go forth and water yourself!